You see, what happened was this. I posted the collection of political posters from Red Sun Rising, and at the end of the post included a photo of me working at my desk at the United Farm Workers legal department office on West Gabilan Street in Salinas from the late 1970s. Lincoln Cushing, the universe’s leading authority on political posters from the 1940s on saw the posting and contacted me. 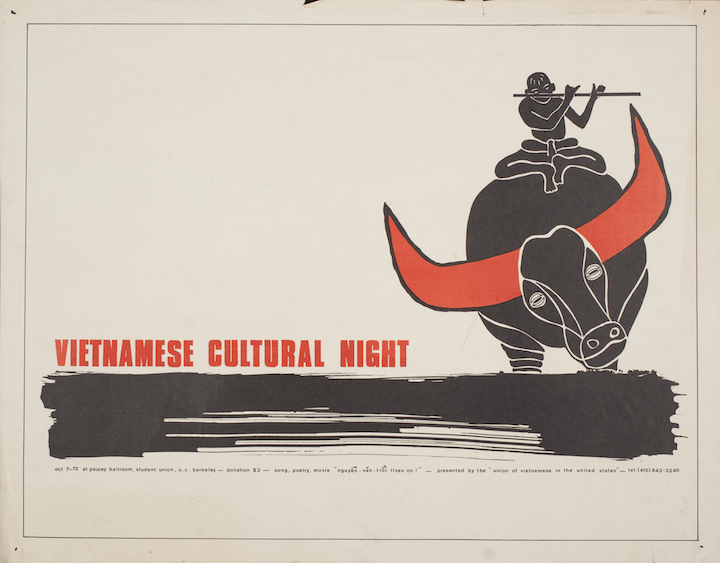 I hauled out the two portfolios in which I have been saving posters for years, in some cases almost 50 years. It was obvious what I would do with them. I donated them to Lincoln Cushing for distribution to collections where they can be seen. He made and then sent me high-quality photos of the posters. 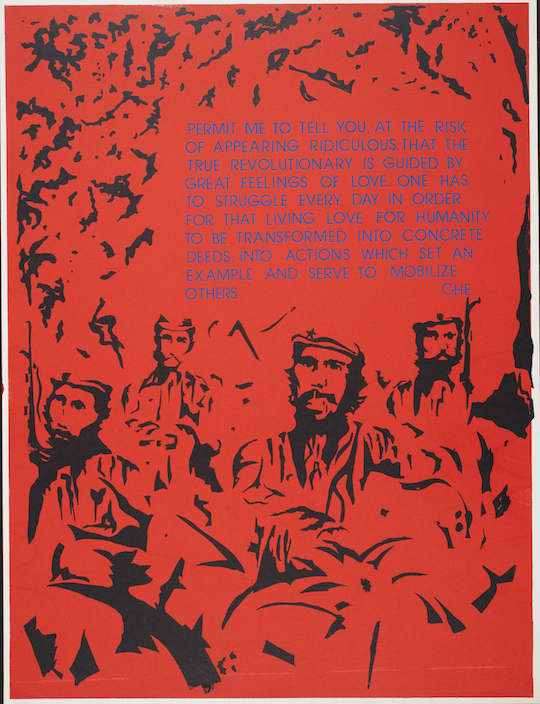 Many of the posters are from my time with the United Farm Workers. 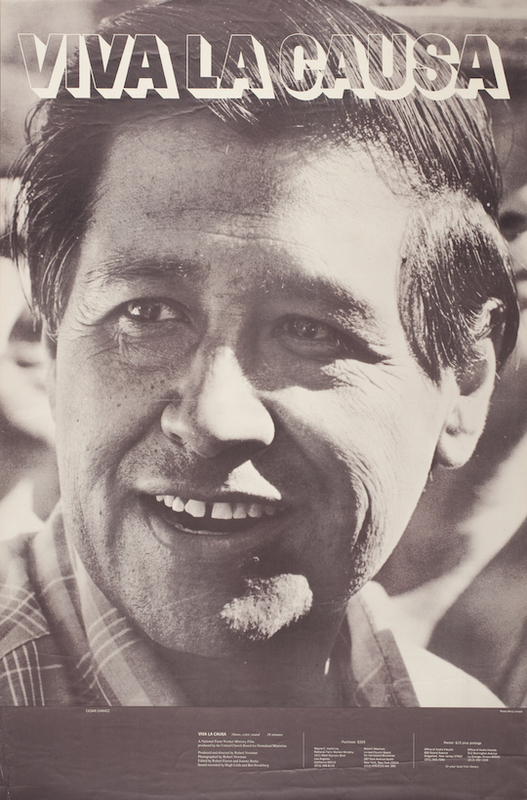 The photograph of Cesar on this poster is unusual. He was not a clenched-fist-in-the-air kind of man. I do not remember ever seeing him with a clenched fist – but here he is. 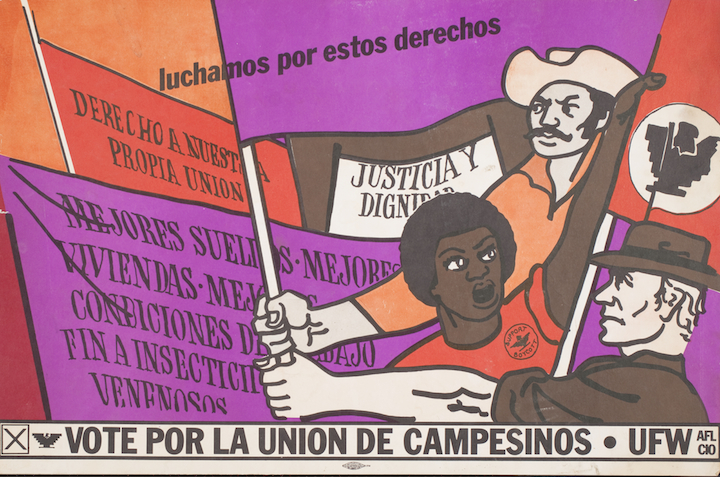 In 1970, the UFW won contracts for California table grape growers after five years of strike and boycott. Salinas lettuce growers were afraid of a UFW organizing drive, and so they hastily signed sweetheart contracts. 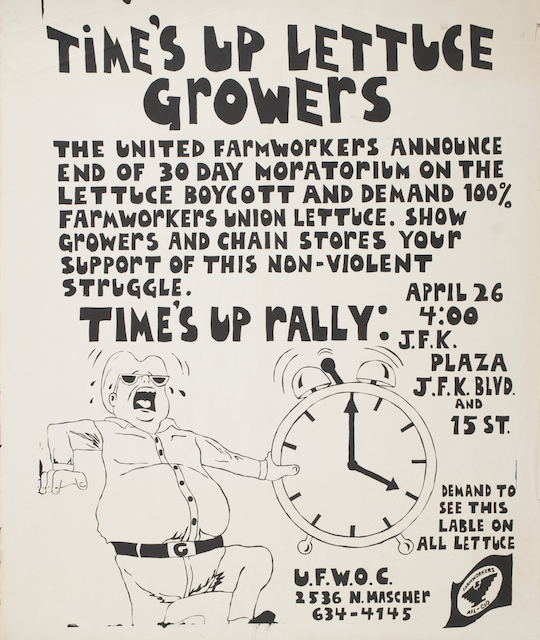 Ten thousand lettuce workers went on strike, rejecting the Teamsters and demanding UFW representation. The boycott shifted gears from grapes to lettuce. 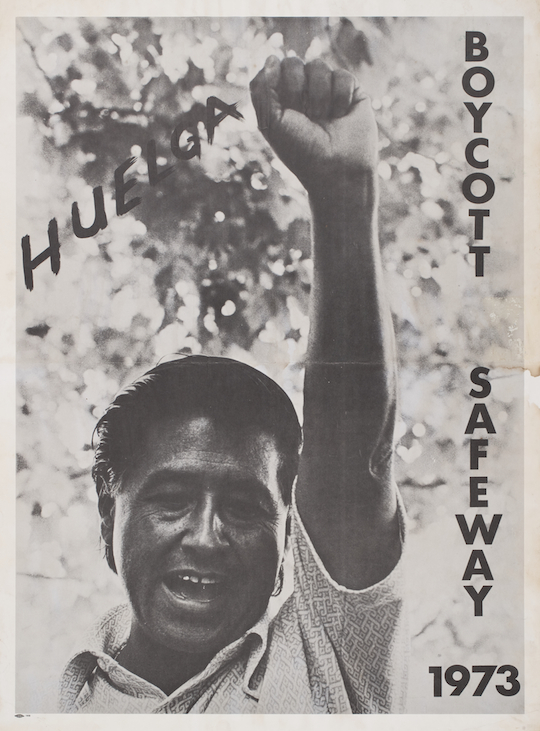 In early 1971 the boycott was called off during a Moratorium in which the lettuce growers seemed to be exploring canceling the Teamsters contracts and signing with the UFW. 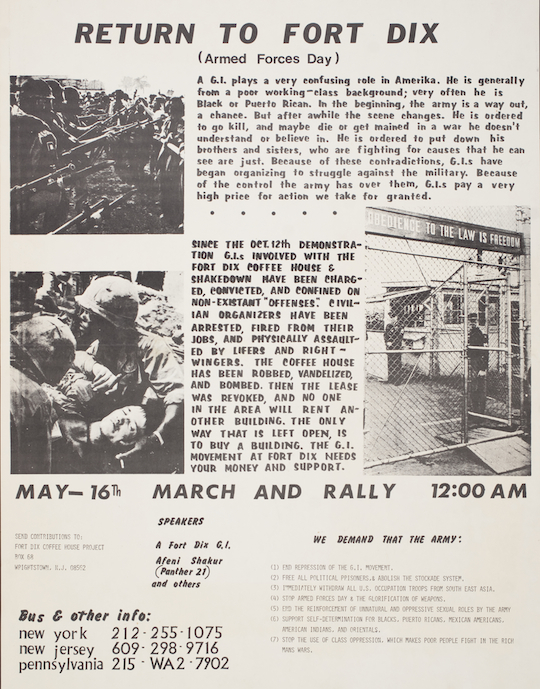 This Philadelphia boycott poster announces the end of the Moratorium and the resumption of the boycott. 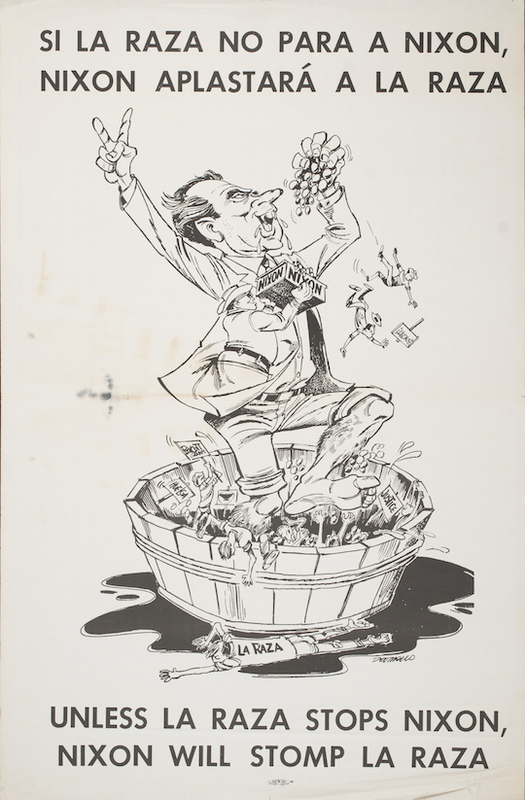 It would not be until the Agricultural Labor Relations Act guaranteed workplace elections that Salinas lettuce workers could chose the United Farm Workers – and they did. In the summer of 1972 I was done with college and waiting to hear from law schools. My parents had moved into my grandmother’s house on Radnor Street in Bryn Mawr, and I was waiting. I watched with complete fascination the ascent of George McGovern. One of the bright moments of my life was to introduce Willie Brown to members of my current union as I showed a clip of him at the 1972 Democratic Convention, demanding that the convention give him back his delegation. McGovern really inspired me. Boy did he lose bad! Another Philadelphia lettuce boycott poster. I don’t think that there are many copies of this in the world. Rare! 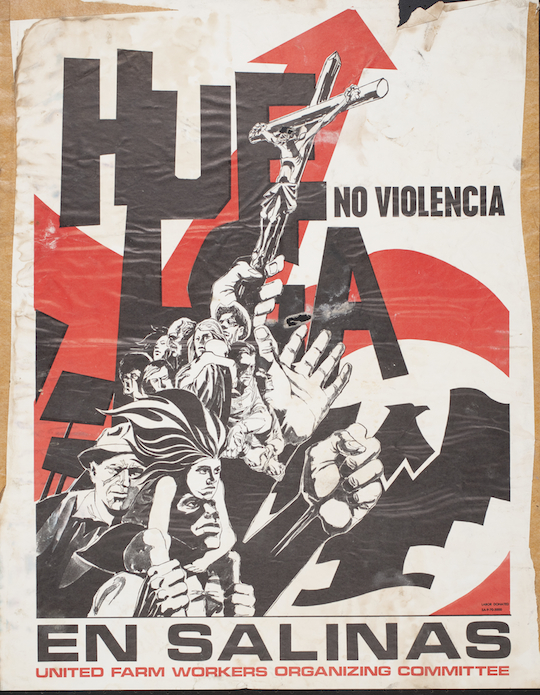 One of the odder UFW posters. 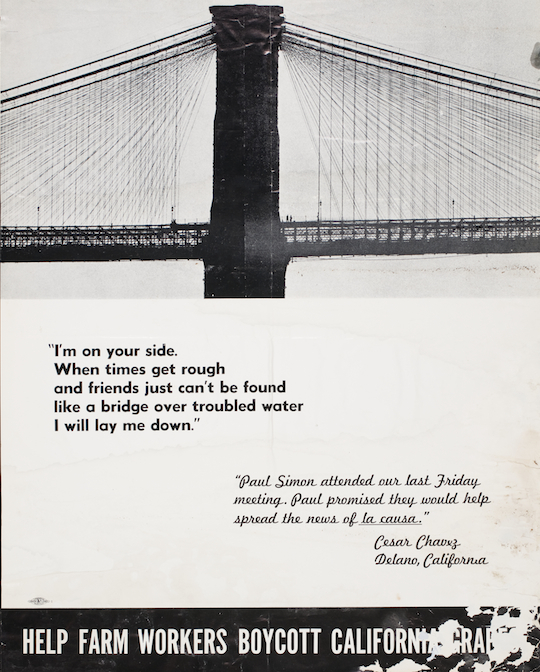 We tried to make a lot out of Paul Simon visiting. For me, it doesn’t work. 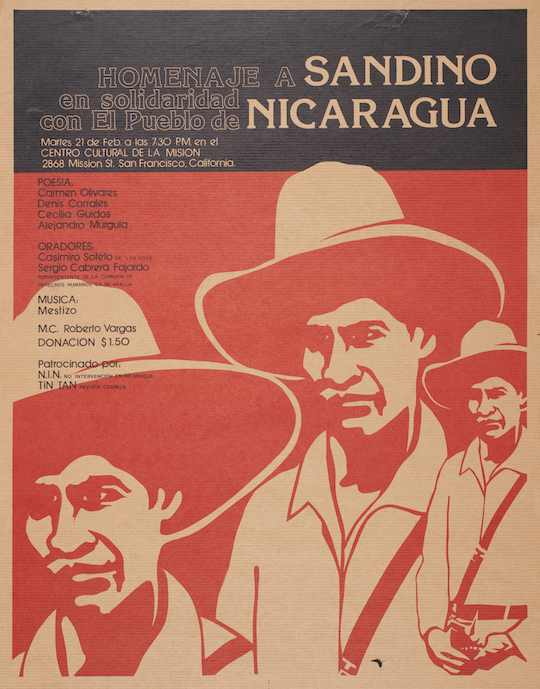 I did not work on Central American struggles in the 1980s. Friends did, but I didn’t. I liked the posters though. 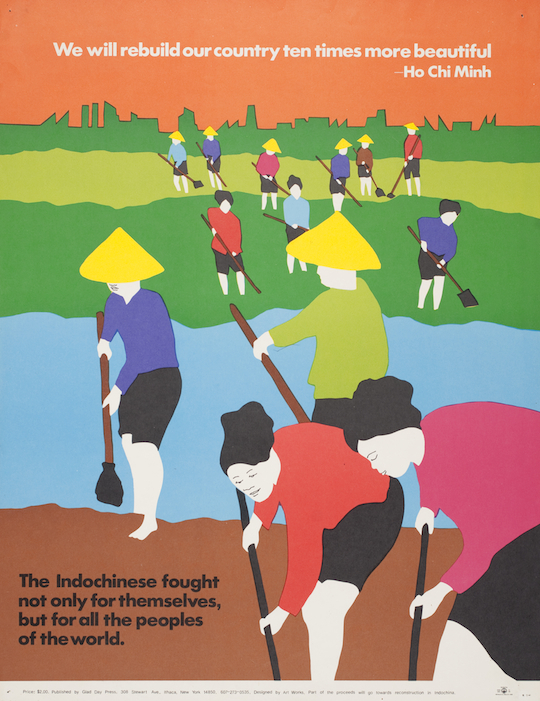 A classic UFW poster from 1968, which I brought home to Bryn Mawr after my first summer in Delano. 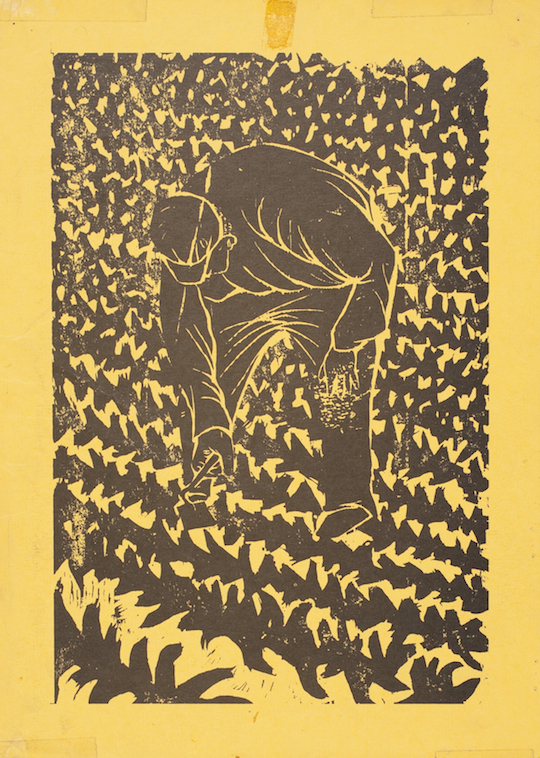 Andy Zermeno was the artist, and he was a prolific and brilliant cartoonist for the United Farm Workers. Much of his UFW work is collected here. As explained below, as a 16-year-old in early1968 I was drawn to McCarthy. 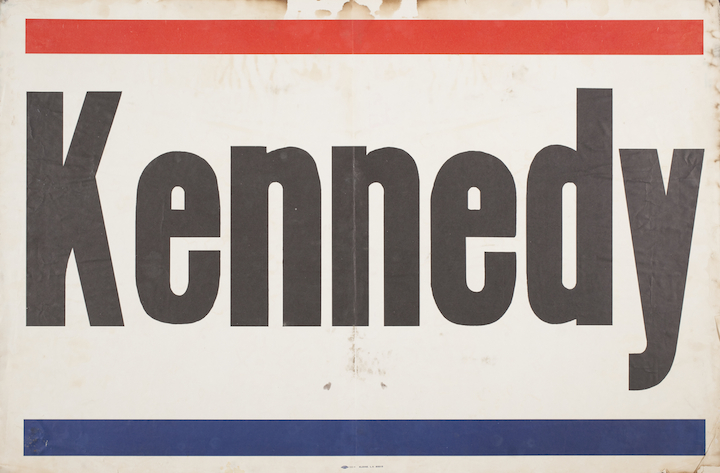 I went to Delano in June, turned 17 in July, and was drawn to Kennedy, then dead. 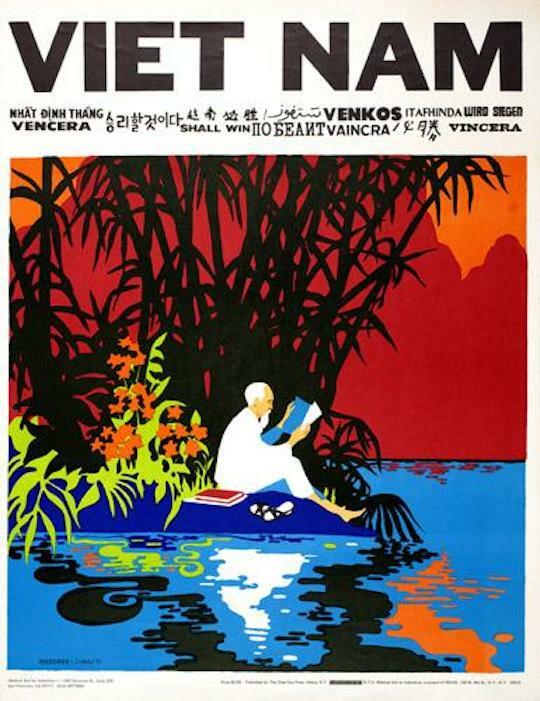 I brought this poster home from Delano in August 1968. 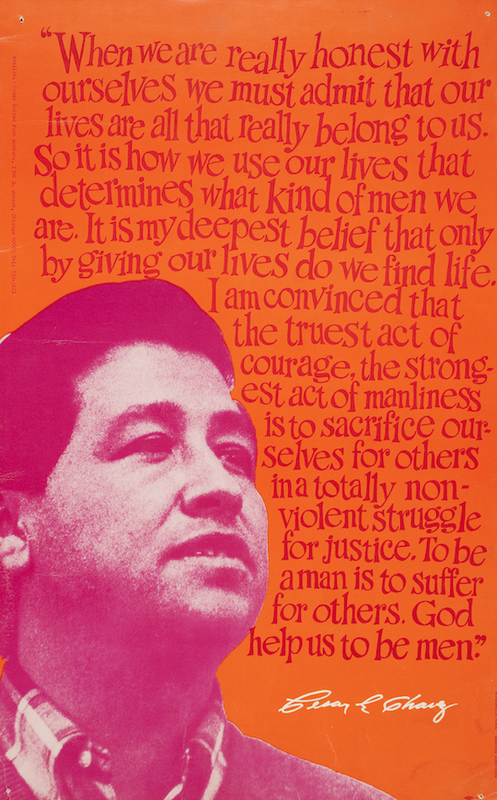 A general purpose inspirational UFW poster. 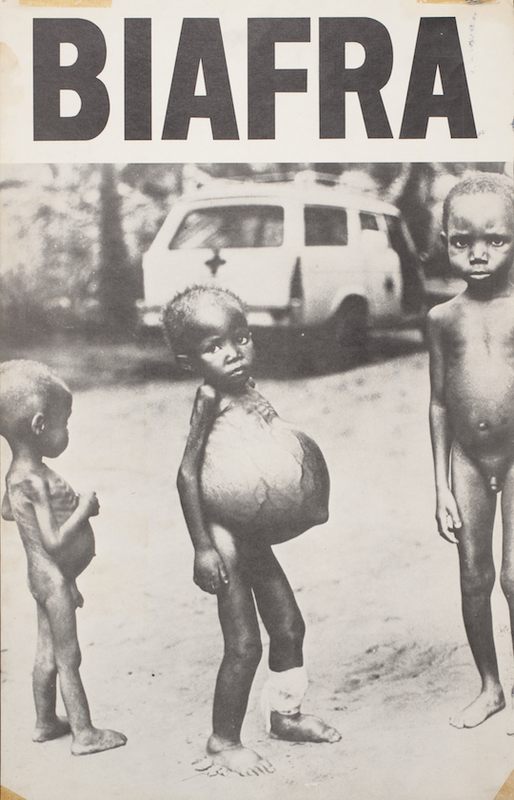 The “UFWOC” dates this to before 1973. Heroic! Acquired in San Francisco in the early 1980s I think. These three are really grim. 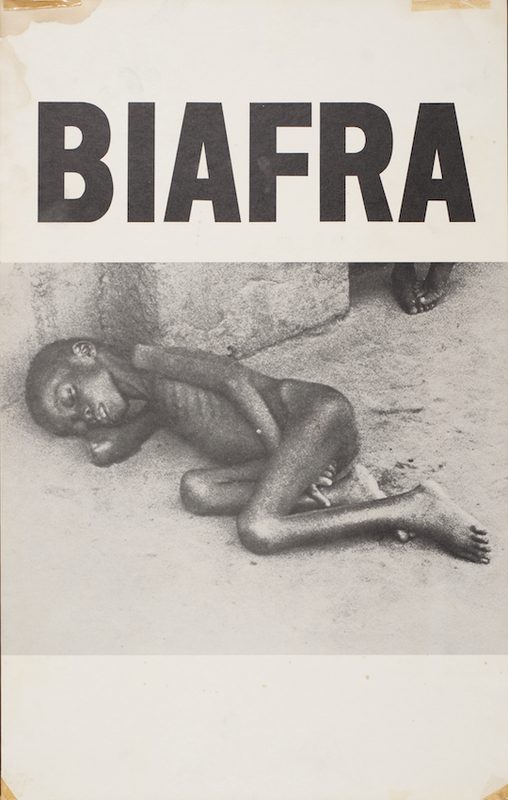 From the early 1970s when Biafra attempted secession from Nigeria. 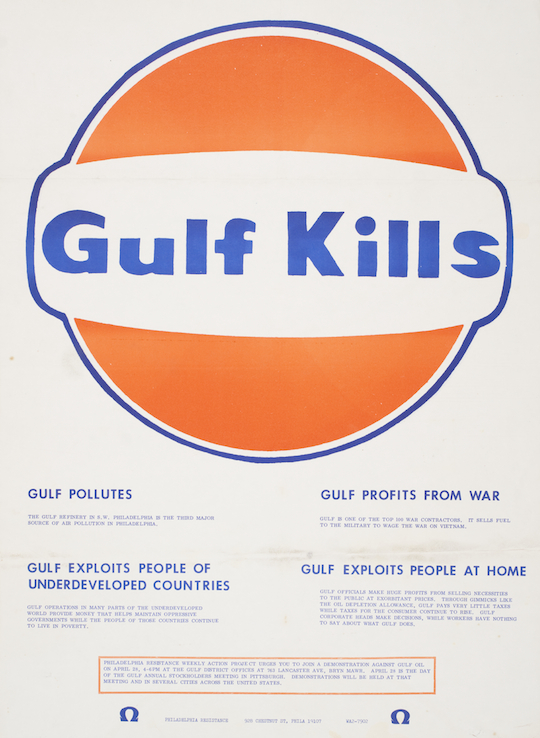 Between 1972 and 1975 the Boycott Gulf Coalition in Cambridge was active in promoting the boycott of Gulf Oil gasoline because of the company’s support for the Portuguese colonial regime in Angola. It urged people to boycott Gulf gas stations and to return Gulf credit cards to the company. 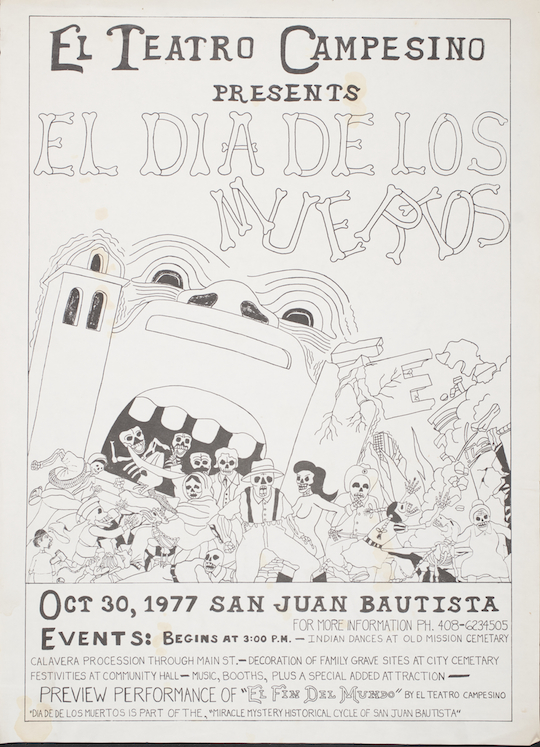 I lived in San Juan Bautista from 1976 until 1979 and associated at times with people from the Teatro Campesino. An unusually uncompelling graphic effort here. I was – and am – a huge fan of the Royal Chicano Air Force. 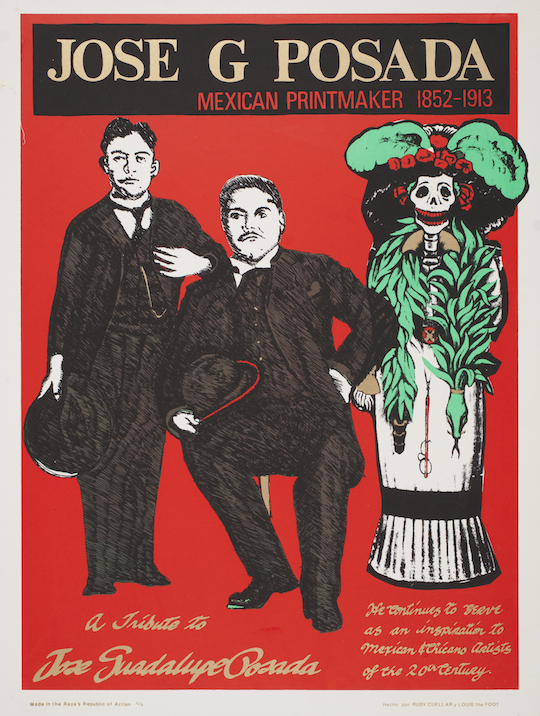 It is a Chicano art collective in Sacramento founded in 1970 by Jose Montoya and Esteban Villa. Incredible posters. I loved their gallery. The trial of the Chicago Eight/Seven took place during my first year at Penn. I was intrigued. Don’t know where I got this poster. I spent March 1980 working for Jerry Brown’s campaign for the Democratic nomination for president in Wisconsin. I worked in Milwaukee and was cold a lot. I had a great time. 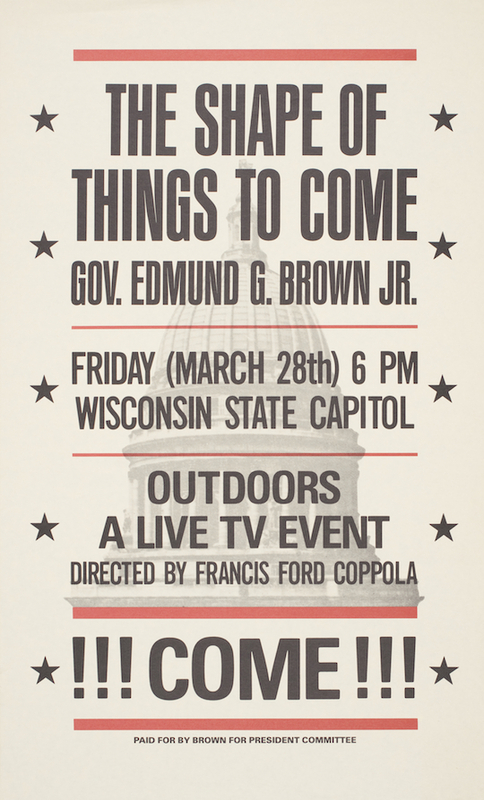 The event advertised in the poster above was one of the low moments of Governor Brown’s campaigning career. The production was an unmitigated disaster. He was toast! 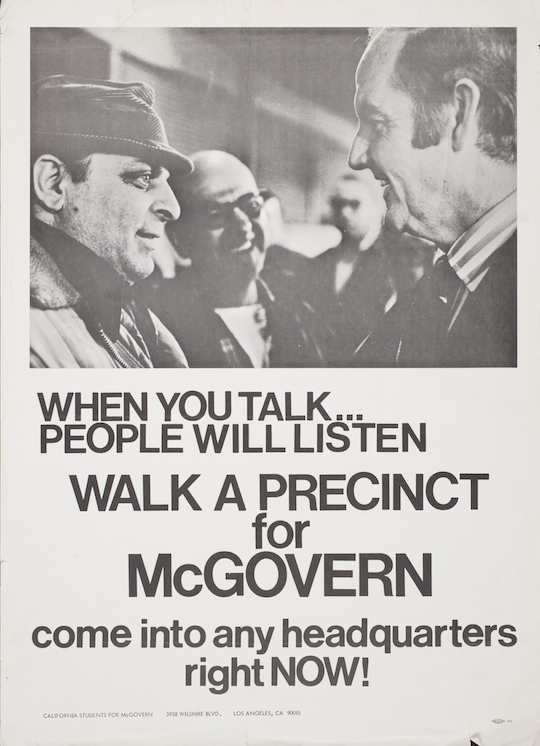 More McGovern. What a decent man. 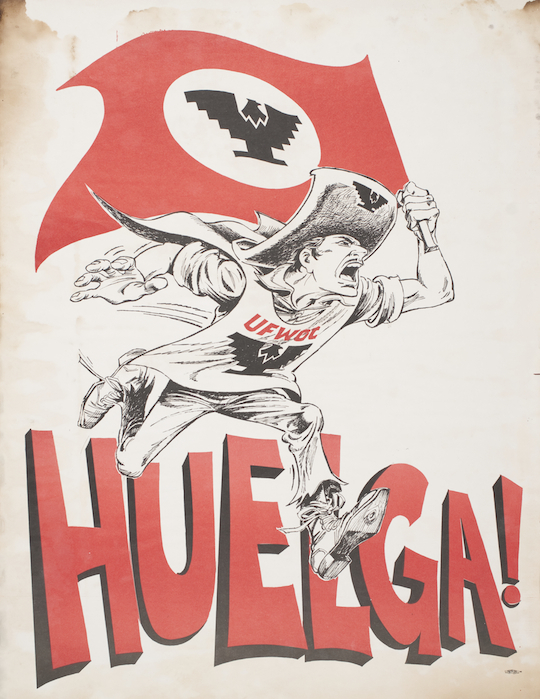 A quintessential UFW poster. 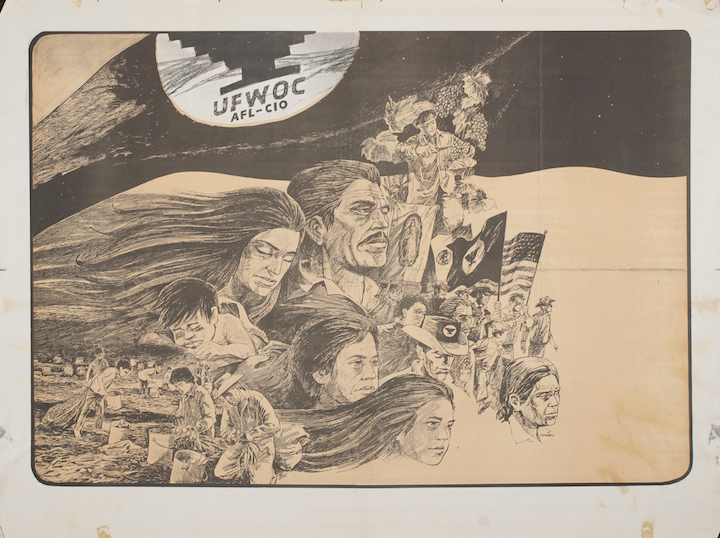 It hung on the wall in the shack where I worked during my first summer in Delano, 1968, putting out the UFW newspaper El Malcriado. 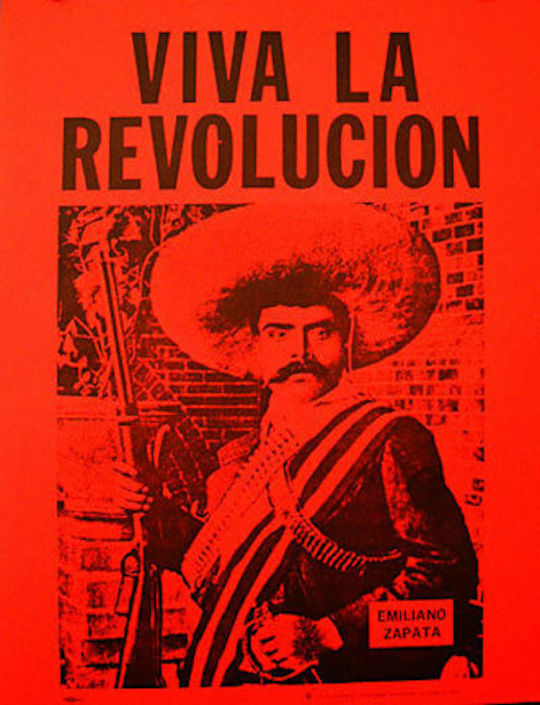 Zapata was a folk hero within the UFW. 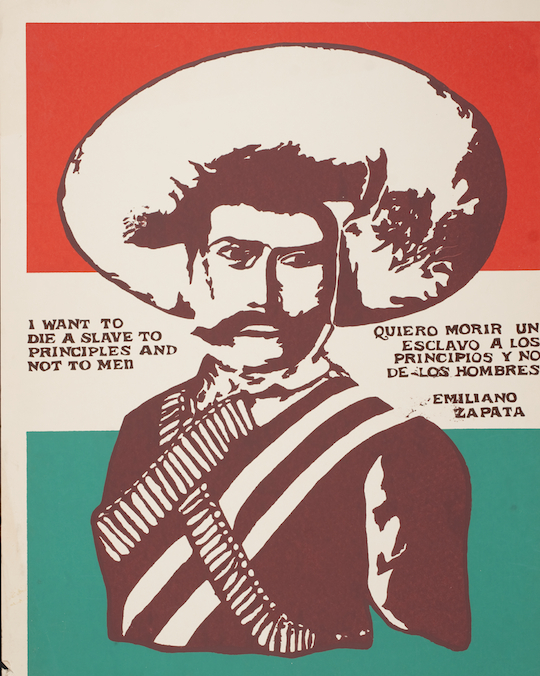 More Zapata, this poster from San Francisco acquired after I was gone from the UFW. In October 1968 my then-new friend Peter Korn and I lived on the same hallway in a dorm at Penn. I was in 229 Coxe House. We went to a demonstration at Fort Dix and for the first time in my life I experienced tear gas. I don’t think that we returned to Fort Dix for this demonstration, part of the growing GI movement. Not a poster, but a full-page newspaper add from a Philadelphia newspaper. Nixon was satan to me then. My parents voted for Nixon in 1960. In 1964 they did not vote. They did not care for either Goldwater’s politics or Johnson’s Texas personality. 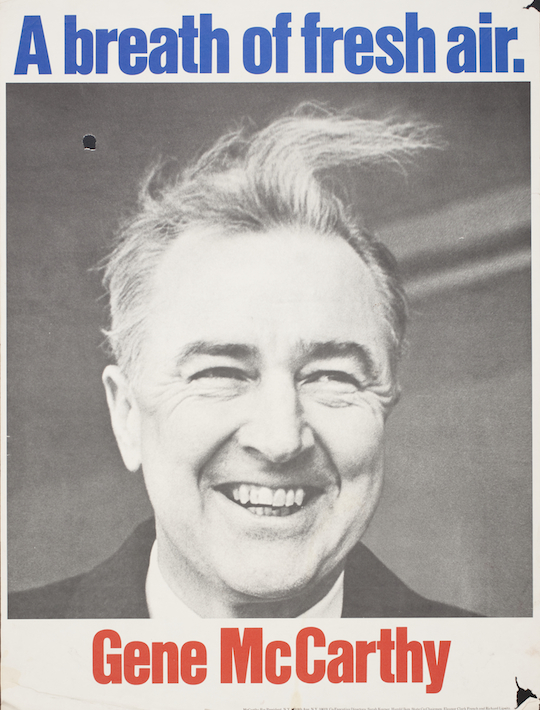 In 1968 they supported Gene McCarthy because their son was 17. Quite an evolution. In the UFW we signed letters “Viva la cause/ Tom Dalzell.” Katie Poole was a law student who worked with us in Salinas for the summer of 1974. In August she said, “Until right now I thought that ‘viva la cause’ meant ‘sincerely yours. '” She didn’t really but it was pretty funny. 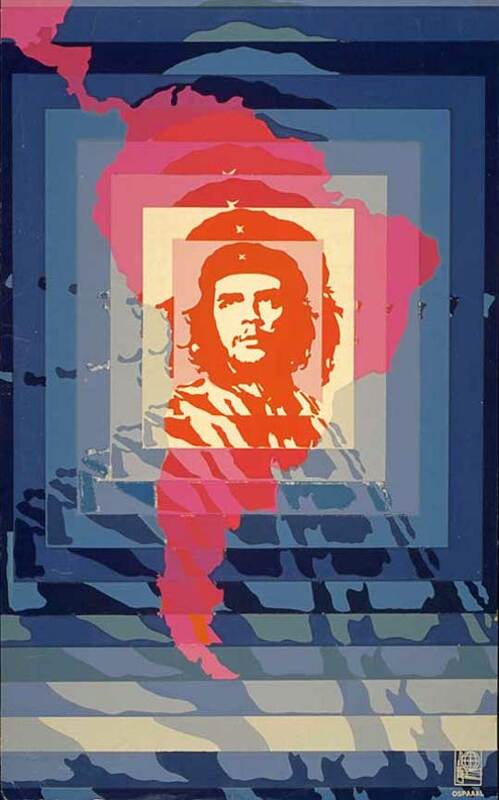 More Che. I used this quote in a jail cell in Washington D.C. in May 1971 when my cellmates from the May Day arrest were getting hateful towards the jail guards. Worked like a charm. I quoted it straight up. Where would I have gotten this? I think it was communist party, France. Don’t know. 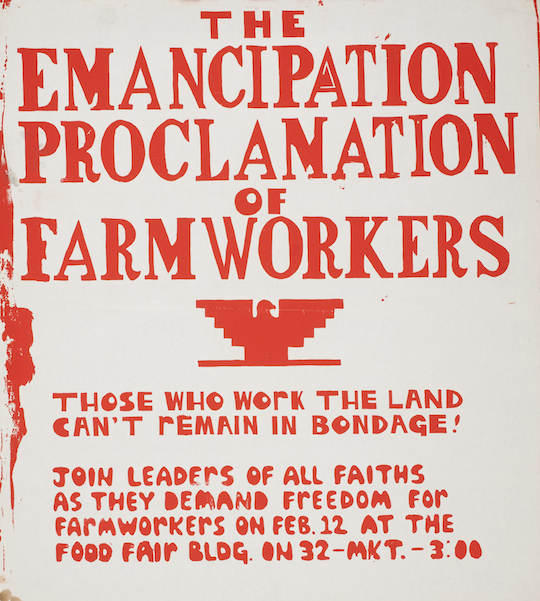 In 1975 the world of the UFW changed. Governor Brown led the Agricultural Labor Relations Act through the legislature, creating a government framework for union elections in the fields for the first time. We moved from a strike/boycott organization to an organizing organization. Big change! 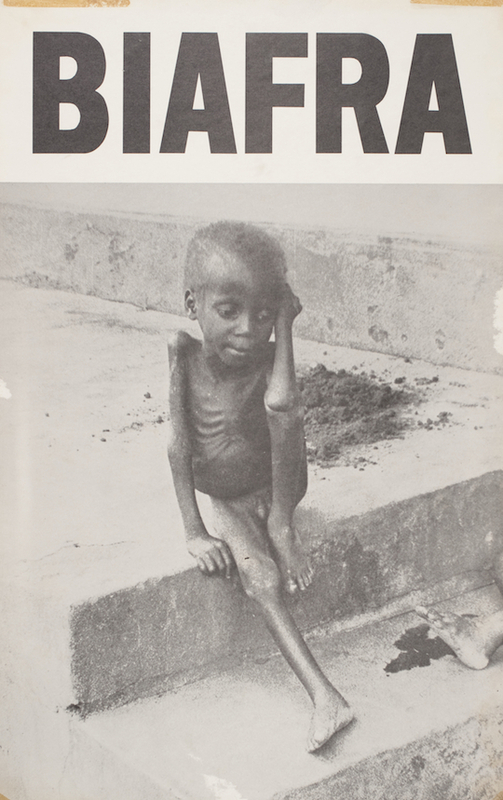 This poster came from the Chicago boycott – I think – in that summer. I remember it surfacing at a conference at the Union headquarters La Paz in June where we planned the fall organizing campaign. 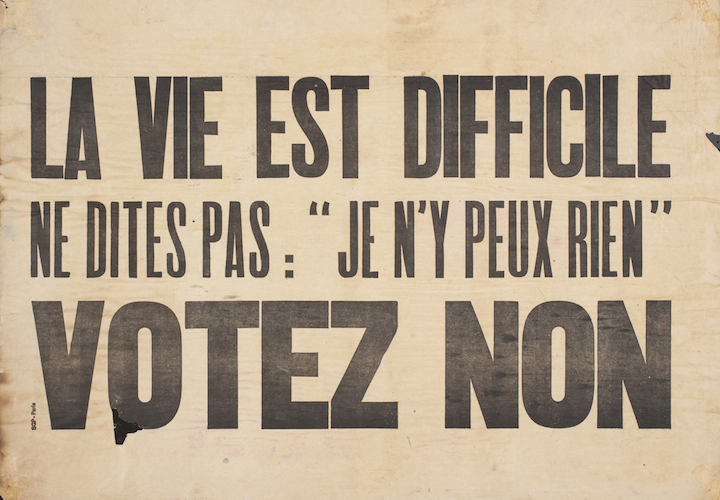 Unlike most of our posters. 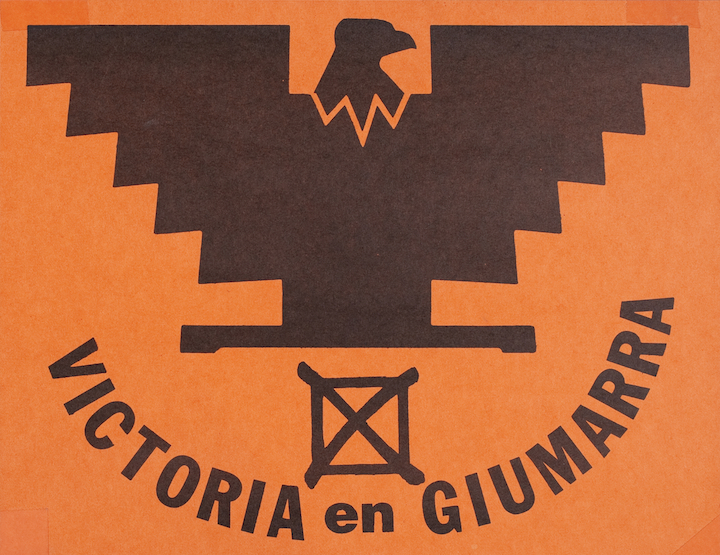 This was ubiquitous in UFW offices in the late 1960s and early 1970s. “God help us to be men” indeed. I think that Jim Drake wrote that speech for Cesar with some input from Chris Hartmire. I have no memory of this poster. At all. Nothing nada zilch rein. 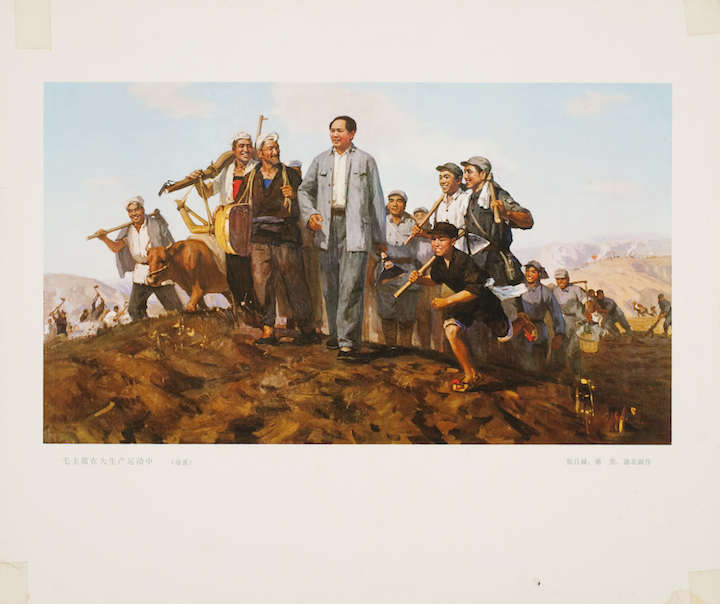 Please do not think that I was a Maoist. Or read any theory. Or cared about sectarian politics. In 1974 I plunged into overtly political comic books from Mexico, Los Agachados and Supermacho by Rius. Finding them took me to bookstores and I guess I bought this poster. I like the art. 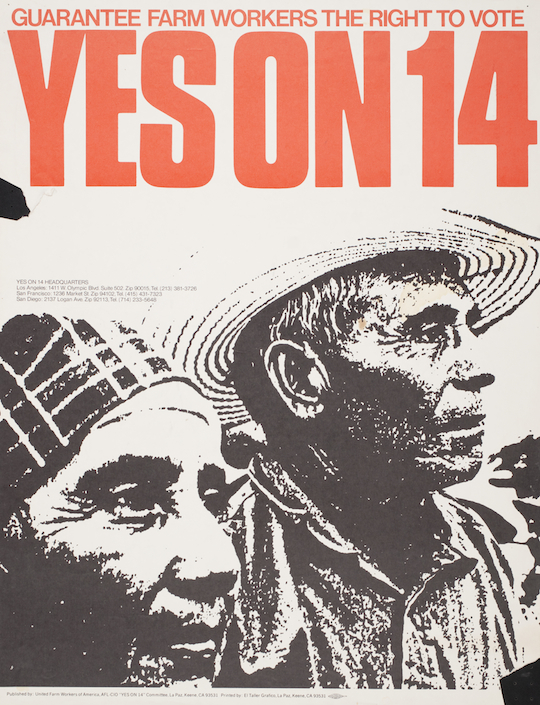 Proposition 14 was another turning point for the UFW. We got the farm labor law in 1975. In 1976 we tried to improve the law and cement it in the California Constitution by initiative. 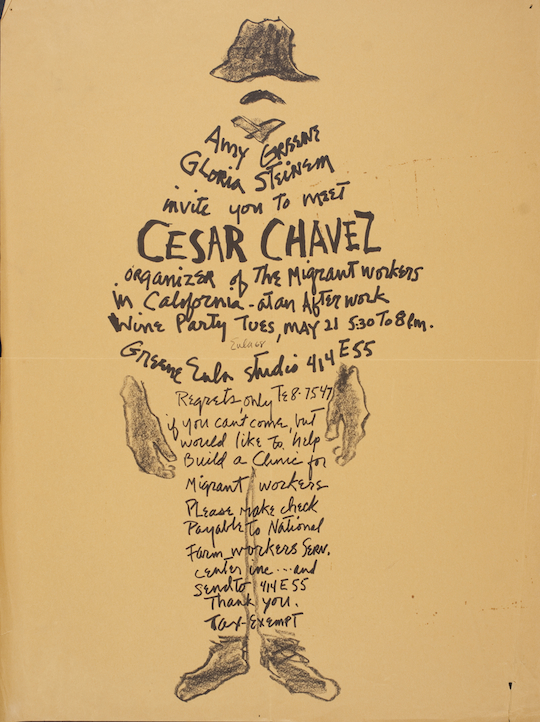 I think that Cesar and some of the older leadership were challenged by the new reality of organizing and wanted to go back to what we knew – and that was not organizing farm workers. Governor Brown tried to warn us away. We didn’t listen. We lost the proposition by a lopsided vote. The loss invoked a huge loss of confidence. The end was near. 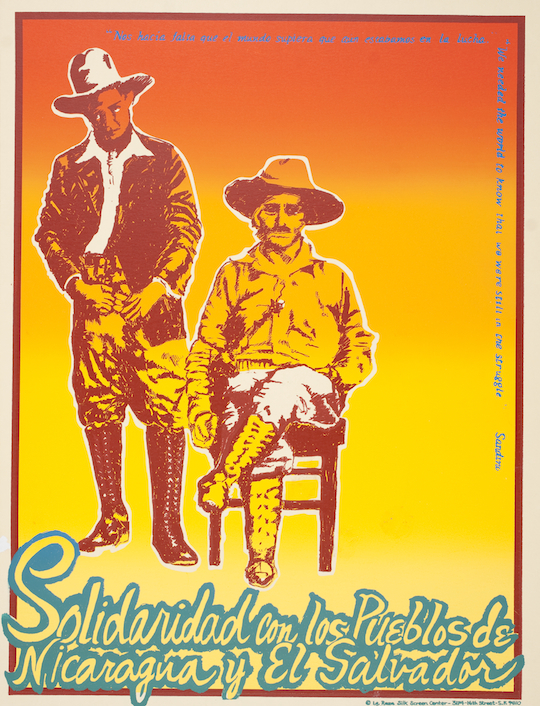 Two classic Zermeno posters. “Huegla” is strike. Salinas was 1970. What a strike! And again in 1979. That one we won. In December 1967, Sandy McCurdy, a chaplain at my school, connected me with Marion Moses and the young grape boycott in Philadelphia. I hoped to work with farm workers in California, as my mother had done int he 1940s, but knew nothing about the United Farm Workers and grape boycott. I learned and loved it. I applied to volunteer in Delano for the summer of 1968 and was accepted. 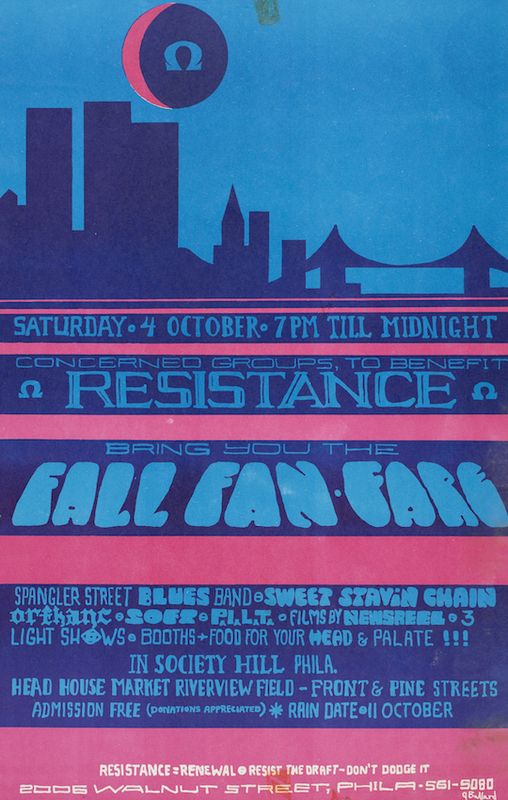 That spring, my parents trained up to New York to attend this radical chic party put on by Gloria Steinam in New York. I doubt that many if any copies of poster exist elsewhere. A couple simple silk screens. Giumarra was the largest table grape grower, a nemesis of the union for years. 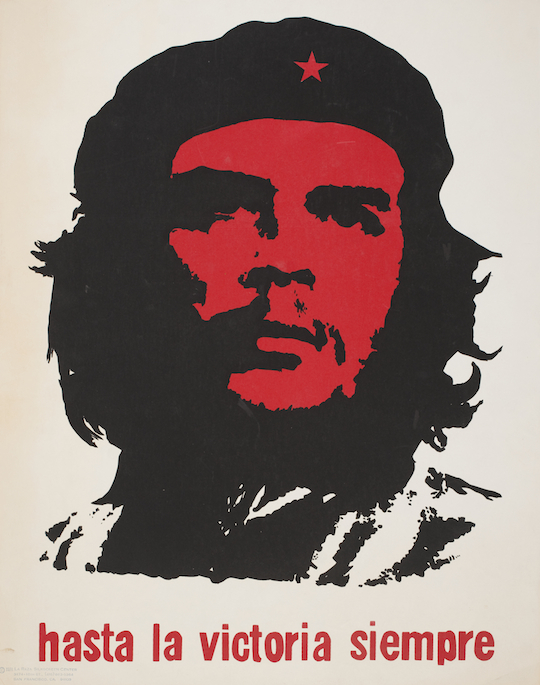 We had a contract with him from 1970 until 1973. 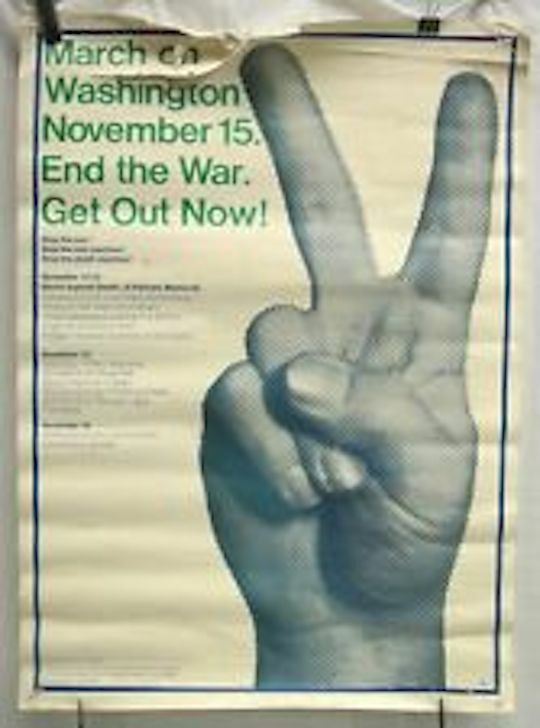 This poster is from a failed organizing drive in 1977. When I started Penn in the fall of 1969 I was drawn to the Resistance. I found meaning there. I never accepted a student deferment and was classified1A when I drew #287 in the July 1, 1970 lottery. Another silk screen. 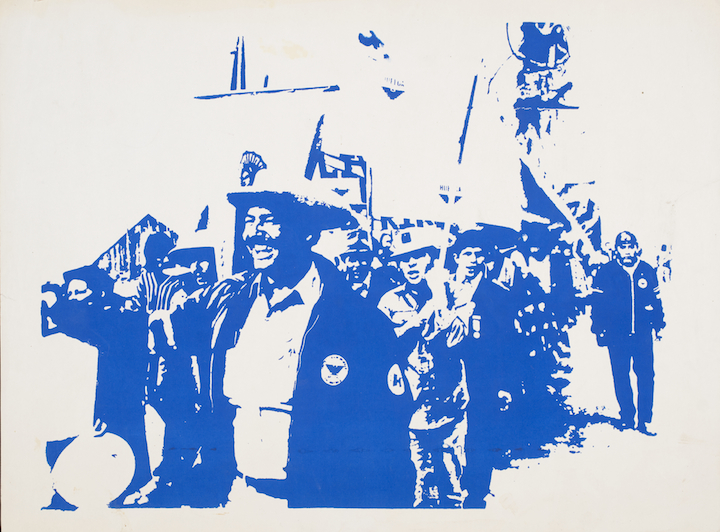 Perhaps from the March on Gallo in 1975? Another Resistance event from my first year at Penn. I went. 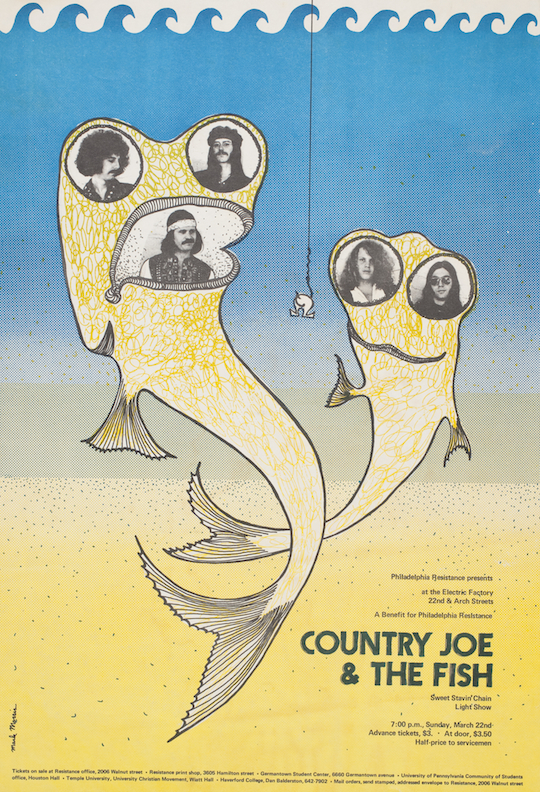 I heard Country Joe again at a rally in Washington just before the Mayday demonstrations in 1971. Frank Rizzo! 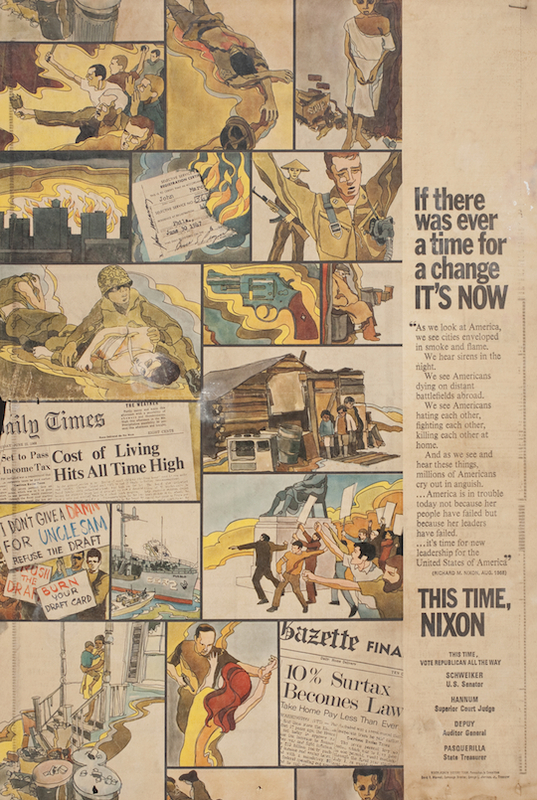 I turned 18 in 1969, and shortly after that 18-year-olds got the vote. I was at Penn, and the first election I got to vote in was the Philadelphia mayoral election. 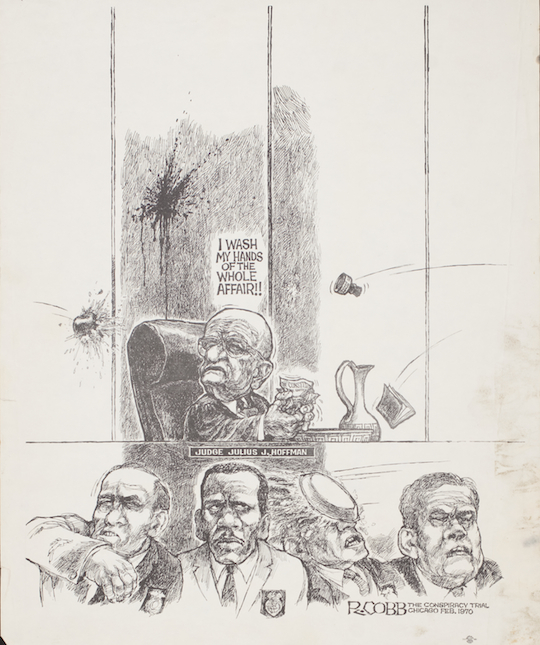 Frank Rizzo was the Democrat. Thatcher Longstreth was the Republican. He was to the left of Rizzo on many issues, an old-school East Coast Republican gentleman. I voted for Longstreth. 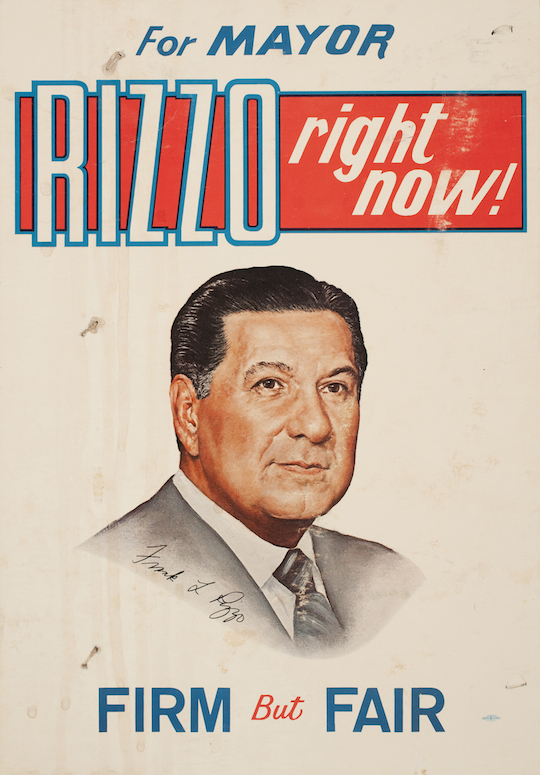 Firm but Fair Rizzo wasn’t for me. He was more than Firm and less than Fair. So – my first vote, and I voted GOP! 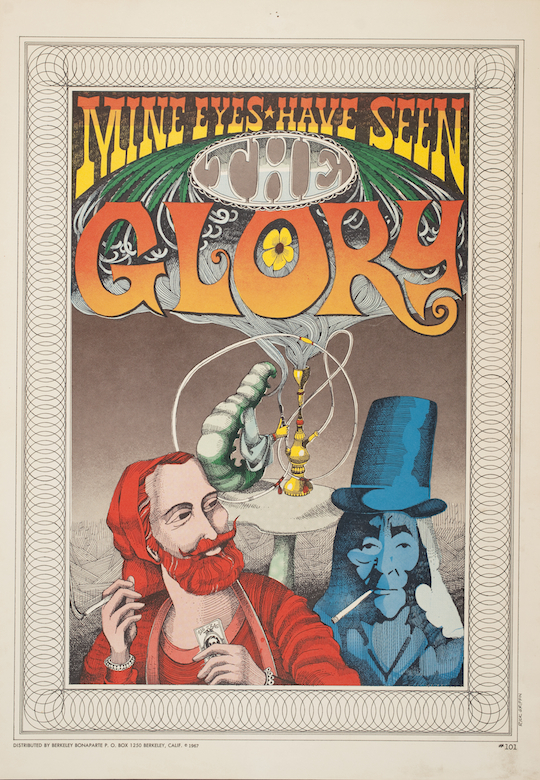 My only hippie poster. 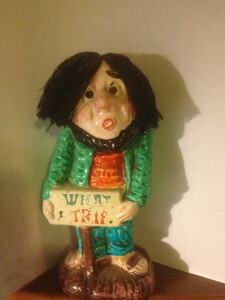 I think I bought it on South Street in Philadelphia in about 1967. I was not a drug user. Or a hippie. I was a prep school kid who was listening to the music and reading about it all in Life magazine. I saved only a few posters, ones that I might hang or have hung. I profoundly admire Lincoln Cushing and his work and hope that my posters inform and please others wherever they end up. Hello! Loved this piece! 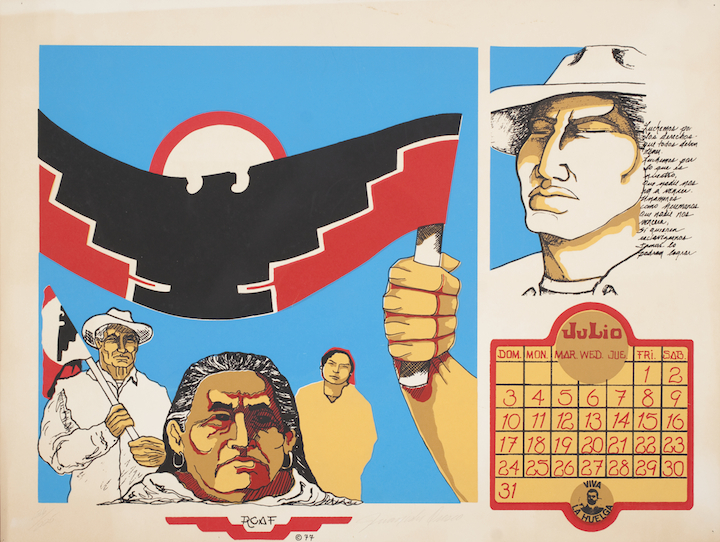 I am writing a thesis on the UFW’s use of art including posters and I would love to hear more about your collection and work with the UFW. Please let me know how I can contact you!